What didn’t the homeowner do? He didn’t invest a few hundred dollars in a battery-powered back-up sump pump. Maybe their contractor never mentioned it, maybe they didn’t know such a thing existed, or maybe it looked too complicated to install. My guess is that it most likely seemed like an unnecessary expense. Fast forward a few years … Someday, two things are going to happen at the same time: It’s going to rain, and rain a lot. That “once in every 5 years” thunderstorm. The other thing that’s going to happen is that the power is going to go out. Here’s the irony to me: When is the greatest chance of no power? During that once in every five years thunderstorm that produces a record rainfall! The ultimate double whammy! 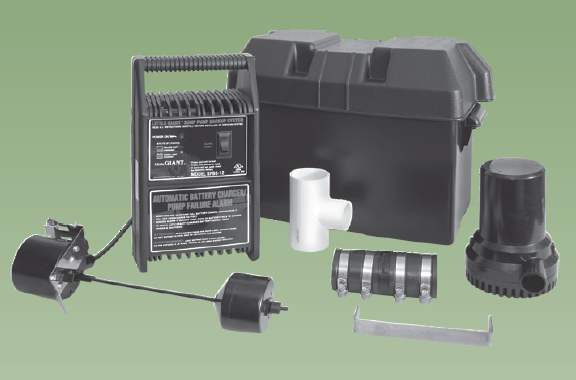 Or, someday, years down the road, like all mechanical things, that sump pump is going to wear out and stop pumping. In either scenario, there’s going to be thousands of dollars worth of damage and anguish that could have been prevented with a small investment. But alas, that would have been extra money that could have gone to the HDTV or upgraded carpet. This entry was posted in Business Tip and tagged battery-powered back-up, investment, power outtage, sump pump, water damage by markreeder. Bookmark the permalink.